If you’re dealing with a narcissist who is also an addict, you’re likely under more pressure than most people – and there are plenty of good reasons for it. 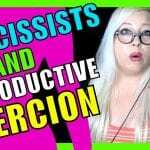 I’m going to give you a quick overview of what you can do to deal with a narcissist addict. If you’ve ever dealt with an addict, you know it can be painful and difficult for all involved. 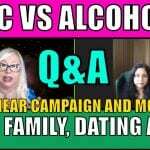 I’ve put together this Q&A that offers a glimpse into what the families of addicts deal with, as well as some vital answers that you’ll need to know if you’re dealing with one now. 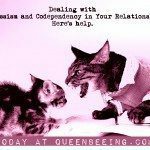 You are likely feeling a compendium of emotions right about now, teetering between wanting to love your addict better and wanting to run as far and fast away as possible. Feelings of love, hate, sorrow and even elation can cycle through you faster than the bad tuna you ate last week. So let’s start here: there are only a few things you can really do to help an addict – and if the addict is also a toxic narcissist, the list is even shorter. But what you can do is educate yourself and make informed decisions. Since many narcissists seem to believe that they are special, and often times that they are above the law or that rules don’t apply to them, they often derive pleasure from engaging in reckless antisocial behavior, not to mention exploiting other people at times. Often, they think they have the right to bully people, humiliate them and force them into taking responsibility for or covering for the narcissist’s bad behavior or choices. Some narcissists are known for their risky activities such as drug and alcohol consumption in excess – and these types of things often fuel those narcissistic behaviors. 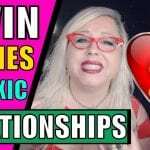 Often, narcissists are in codependent relationships anyway, but when you add drug or alcohol addiction to the mix, the toxicity level is off the chart. A lot of addicted narcissists will claim that their drug of choice enhances their lives or personalities, and they’ll swear that they have control over their addiction. And, since they’re narcissists and they believe they’re immune to such normal human issues as addiction or alcoholism, they aren’t concerned with any related health issues. Plus, the addicted narcissist will almost always be in some kind of codependent relationship that is abusive or manipulative. From what I’ve learned, often, one condition feeds the other – so you’re left with a “chicken or egg” kind of situation. And as chronic drug use has been proven to make the symptoms of NPD and BPD more prominent and severe, the narcissist finds himself or herself looking for more drugs to self medicate. They develop a tolerance for their drug of choice and they develop a dependene on it – and that leads to their addiction becoming fully established. Since a lot of narcs think they’re “above it all” – including the law and basic human ethics – it’ll be tough to actually help one get treatment. That’s because most narcissists won’t ever admit they actually need help. They make it almost impossible to help them, in fact. This is even true when the addiction has completely taken over their lives – and their hostile attitude toward treatment may also become strangely competitive and aggressive. Then, of course, as the narcissists they are, they will devalue and discard the value of both the treatment and the professionals who are trying to help them – in part, due to their natural urge to resist authority figures (outside of themselves, of course). Remember that in both narcissism and in addiction, there’s a common factor: shame. A lot of narcissists and alcoholics/addicts have had some kind of trauma between 18 months and 3 years old which could have caused or facilitated the condition, according to Erik Erikson’s Psychosocial Development, stage 2. While it’s not always the truth in every case, it can be a good place to start trying to figure out the cause. Are you an enabler? If you feel that you’re a victim of a narcissist who is also an alcholic or addict, how do you know if you’re enabling it? If you’re trying to help the narc hide the addiction, or if you’re helping him or her to procure the drugs/alcohol s/he needs to feed the addiction (even if it’s only to shut him/her up). Often there are two or more enablers – one who helps the narc feel good about himself/herself, and another who encourages the addiction (knowingly or otherwise). And for narc addicts, their primary sources of supply are often blind to the symptoms at first, or if they do see them, they’re told over and over again that they’re just wrong, or at the very least exaggerating the issue. Often, the well-meaning supply finds himself/herself believing that maybe they WERE wrong, after all. But in reality, the narc has just pulled yet another gaslighting job on them. If you hope to get your narc into recovery, you havve to first get him to admit there’s a problem and that he’s got an addiction he can’t control – andd if you know narcissists, you know they might never get there. But it’s an absolutely necessary step in any recovery process, so without it, there’s no hope. And if you get the narc to rehab, you’d better have a lot of money – or at least some darn good insurance – because most will require the highest-end facility within a reasonable travel distance (or unreasonable). They may abuse staff and cause trouble for other patients, and they may make group therapy impossible (or, at the very least, all about them). Researchers say that since most narcissists need to see instant results (and expect others to agree that they’re fully recovered in an impossibly short amount of time), they rarely manage to actually do the steps necessary to recover – and doctors say this makes their prognosis for recovery very poor. So, while you can’t necessarily always help a narcissist addict directly, you can recognize that his or her illusions of grandeur shouldn’t become your problem or your family’s problem – instead, you have to learn to avoid strengthening the narcissist’s false self image and focus on the fact that, statistically speaking, a narc’s prognosis for recovery is not great. These are some ways you can help the addict in your family, according to AddictionandRecovery.com:. Do you need help dealing with an addict in the family? Here is a list of resources to get you started on your path to family recovery. Now it’s your turn – I want to know your thoughts. Are you dealing with an addicted narcissist in the family, or have you in the past? What would you say your biggest struggles are or were? Hi Angela. I found this article because I was searching for info on abuser/codependent relationships to try to understand the hold that Pres. Trump has over his followers and also over the media and Congress to some degree. The extent of his lying and manipulative, irresponsible behavior is mind-boggling! I see him as exhibiting most of the worst characteristics of an abusive narcissistic addict — even if drugs or alcohol aren’t directly involved…. and many Americans seem to bend over backwards to make excuses for his bizarre ideas and behavior. Since you write extensively on this subject, I am curious what you think about my ‘diagnosis’, and ways it is or isn’t appropriate. I’d appreciate any thoughts you choose to share about this. PS I am a counselor at a psych. hospital in Austin Texas. 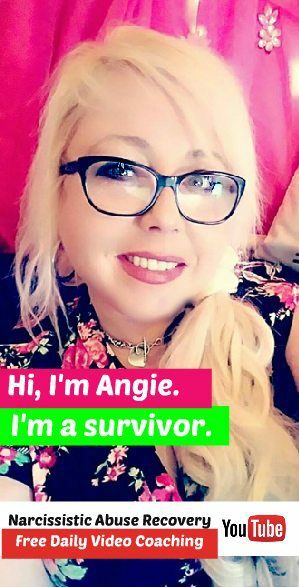 Hi Angie, once again I’m clearer about my situation after listening to your video here.